Like their style of music, DubTonic is a mixture of two words "DUB", relating to the heavy drum and bass aspect of reggae music and "Tonic", referring to medicine. The eclectic blend of music and musicians are certainly medicine to one's soul and after listening you simply just want more. They are dedicated to keeping their music interestingly spontaneous! Their songs and spoken word are consciously thought provoking, while their rhythm/dub section walks through the passage of time with a gritty sound that rolls stones and break fences. The level of positive energy that is shared through music between "Dubtonic Kru" and listeners everywhere proves their ability to serve the right dosage. It's the edge they had over their counterparts when they were voted BEST NEW BAND IN THE WORLD 2010 - 2011 at the Global Battle of the Bands World Finals in Malyasia, February 2011. The Kru's sound is based on a dynamic Drum & Bass duo who intertwine Jubbas m'esmerizing Reggae/Jazz Fusion drumming with Stone's groovy, pulsating bass lines. The Duo gained over a decade of experience from touring/recording with legends Max Romeo, U-Roy, Burning Spear, The Mighty Diamonds as well as contemporaries artists such as Bushman, Junior Kelly, Richie Spice and Lutan Fyah . Versatile guitarist Jallanzo, with his strong vocals and the talented Luke Dixon on work stations were added and Kamau, â€œthe Quiet Warrior, brought a revolutionary voice to the Kru. Dubtonic Kru have been honored by the United States House of Representatives and presented with a Congressional Proclamation for their contributions through music to varying communities.They were also awarded the Simba Award by CPR (Coalition to preserve Reggae Music) and with a Jamaica Star's "People's Choice Award" for "Band of the Year". 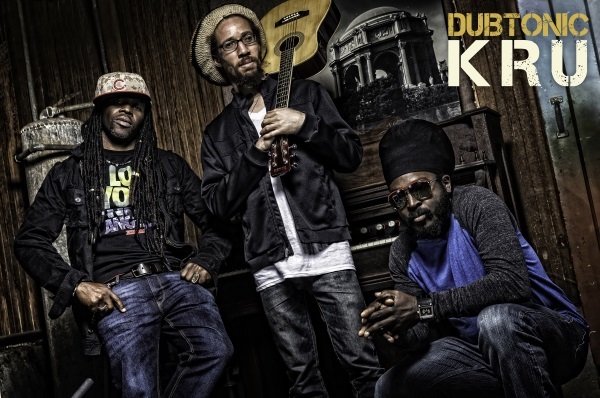 With four albums (Jungle Fever, Dub Tonic, Evolution, Dub Conscious) and continuous US and international club and festival performances, The Kru continue to give medicine to audiences and while solidifying their place in the global music scene.